Embroidered GODpillow(tm) prayer kneelers $74.00. Made with Love and handcrafted from lightweight solid wood base with VERY thick, plush, 3 inch memory-type foam padding- VERY COMFORTABLE for your knees. Covered with soft & durable microfiber fabric; each inspirational message is embroidered with gold rayon thread. Perfect for any prayer altar or can be placed by/underneath ones bed. 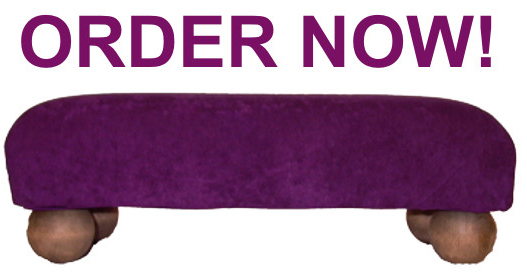 The Prayer Kneeler design is patented and trademarked GODpillow. For additional words/messages please look at our inspirational pillows.